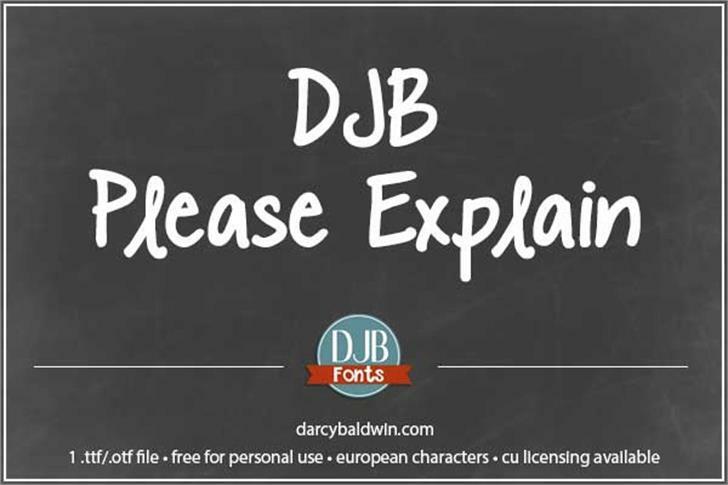 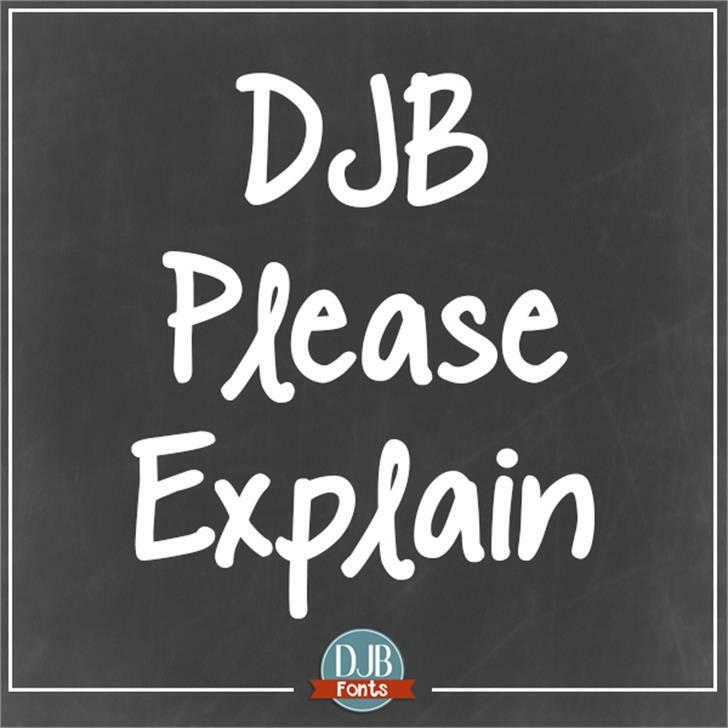 DJB Please Explain is a font perfect for all of your words. 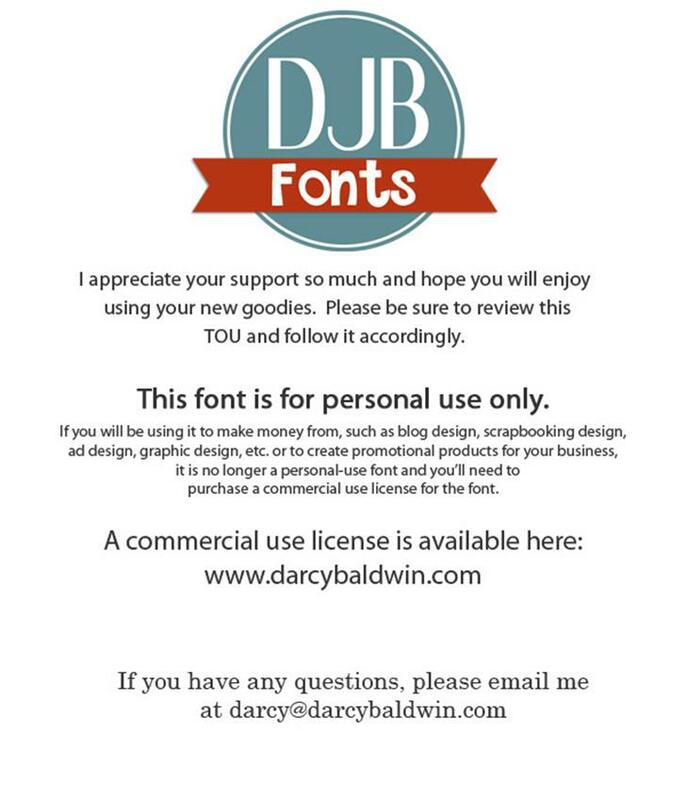 This font contains 1 .ttf/.otf font file with full upper and lower case alpha, numbers, most punctuation. 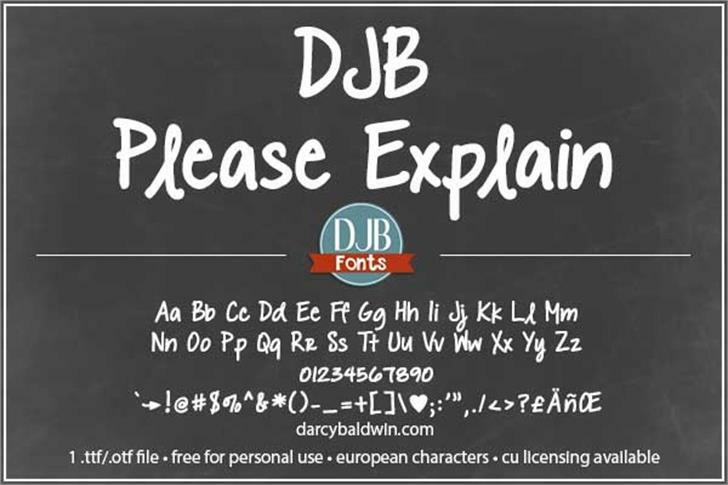 See preview for details.